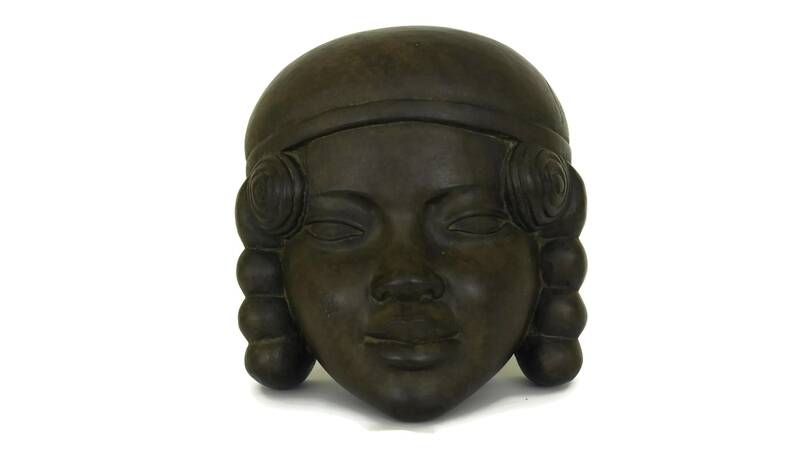 A beautiful carved wood lady face mask from the Art Deco era. 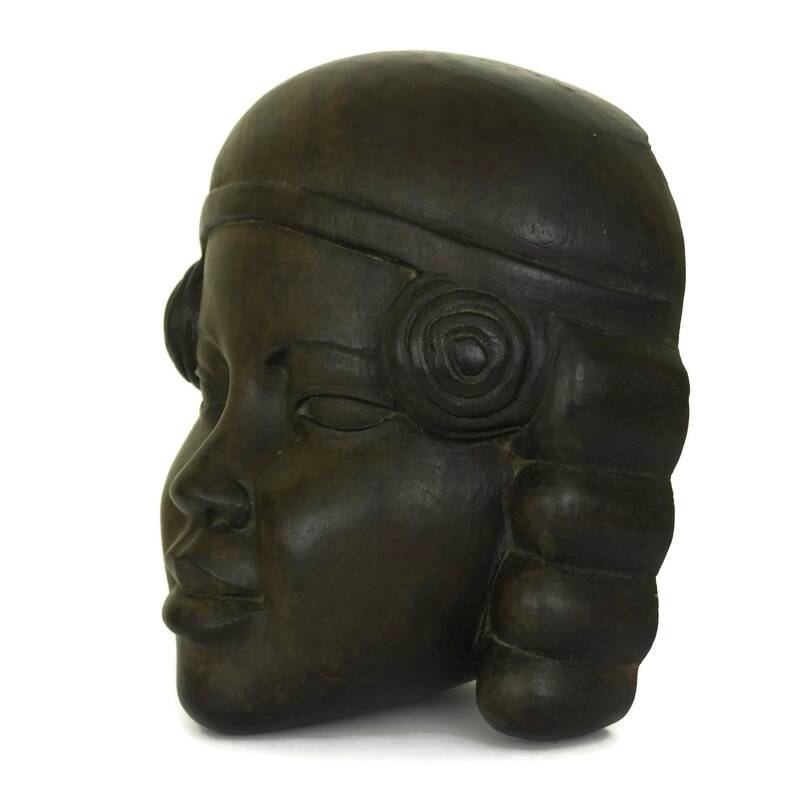 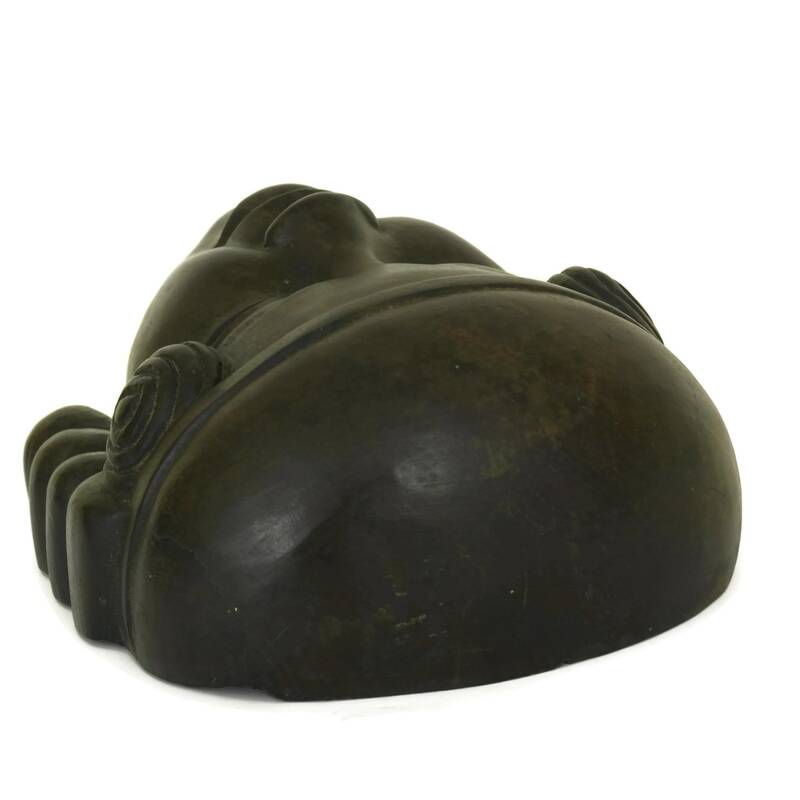 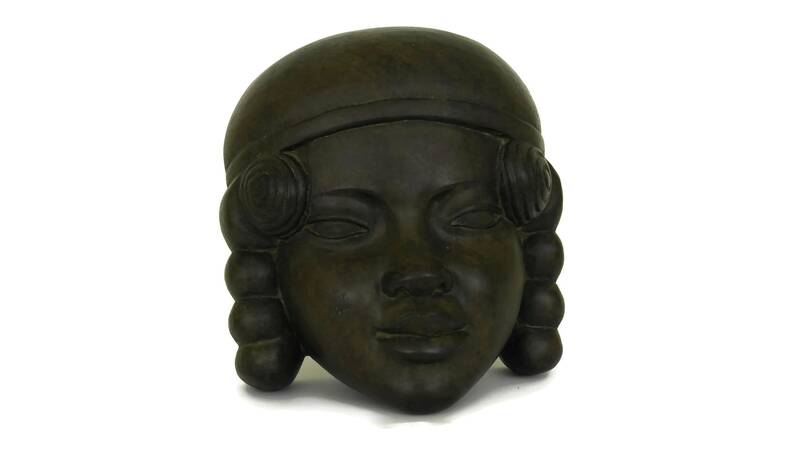 The African carving portrays a head bust of a Malagasy woman with an ornate hair style. 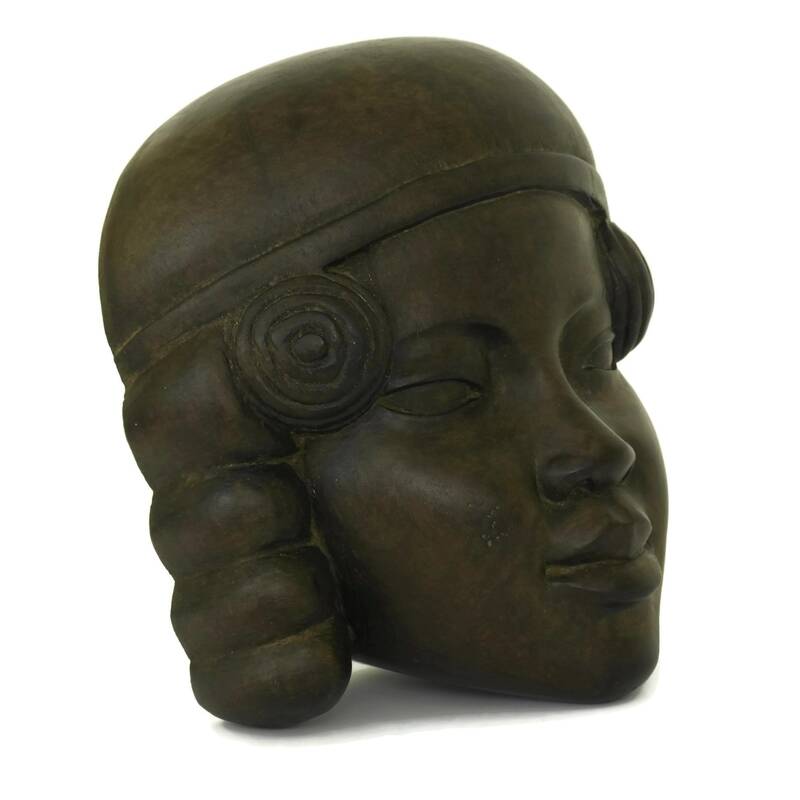 The sculpture was created in a fine arts studio in the city of Antananarivo on the island of Madagascar and has been finely executed in the classic portrait style with beautiful details and expression. 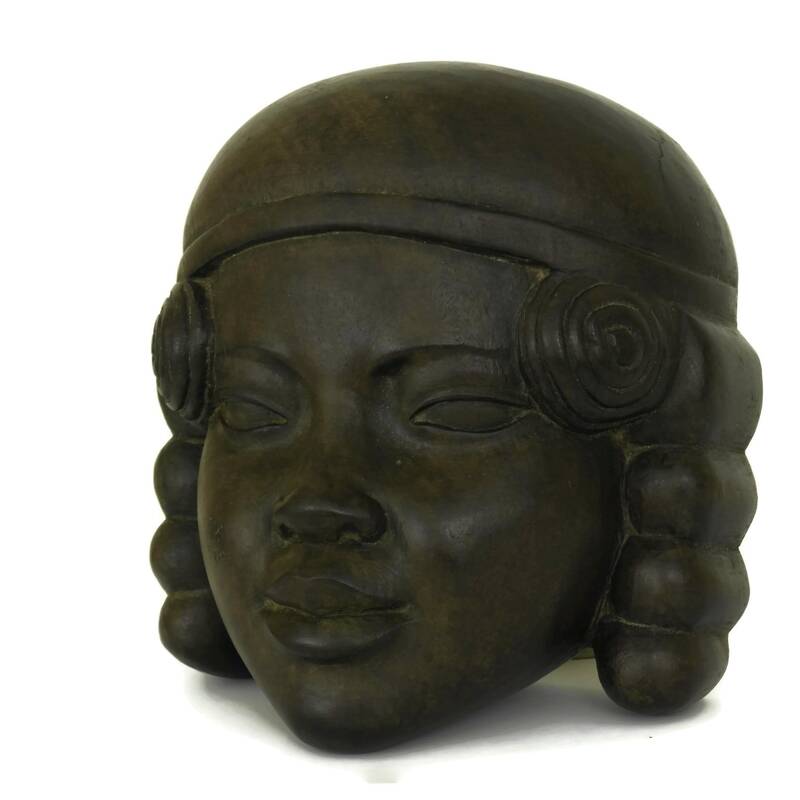 The wooden bust has been hand carved from a single piece of dark exotic wood which is relatively heavy for its size. 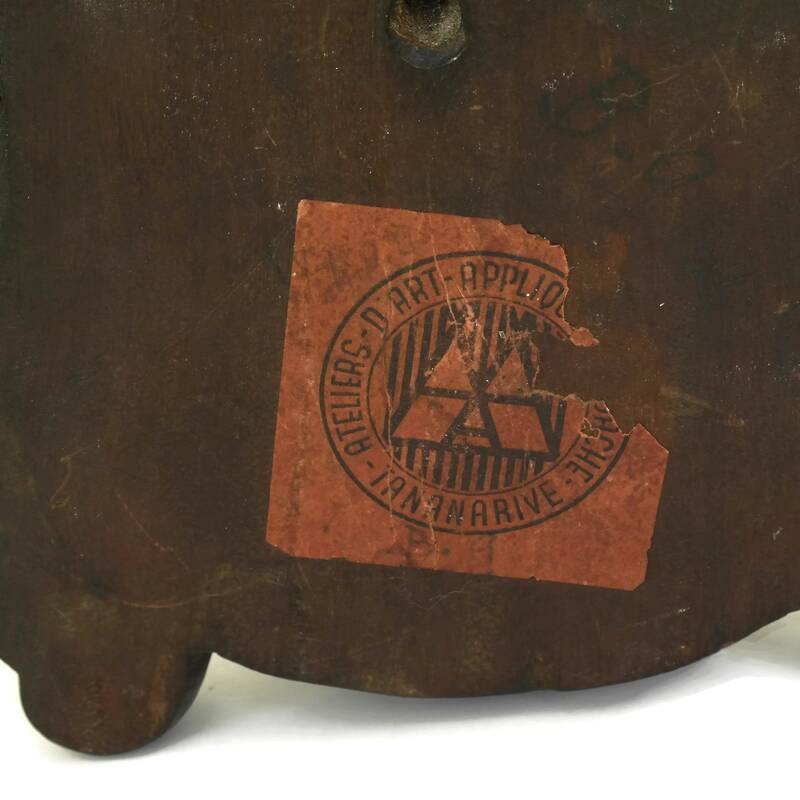 There are no visible artists signature or identifying marks except for the remains of an original sticker from the studio of Atelier d'Arts Appliqué in Antananarivo. 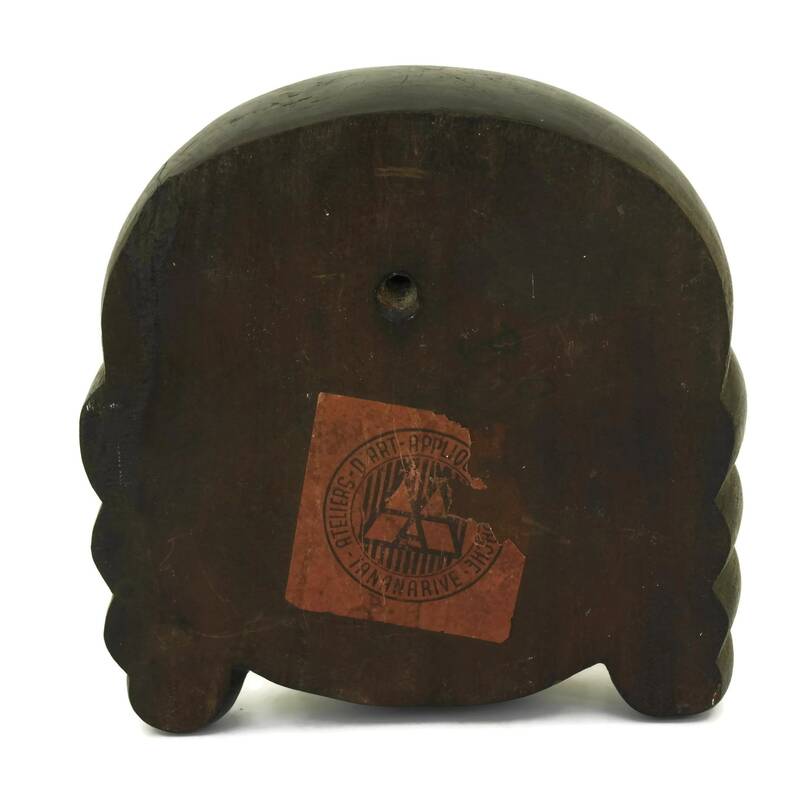 (15 cm x 15 cm x 8 cm). 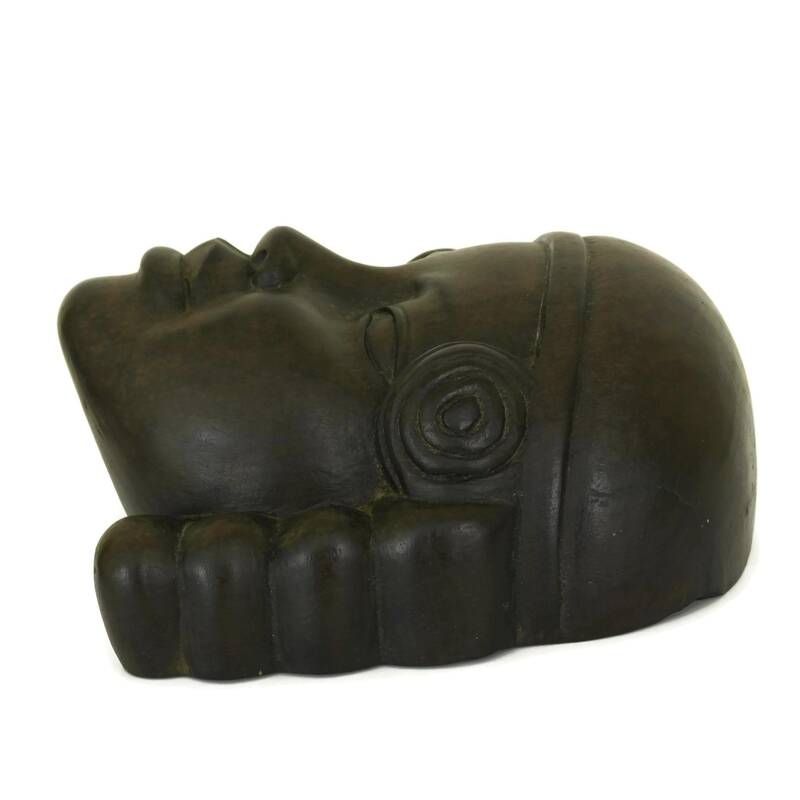 The carved wood face mask is in very good condition with some signs of age. 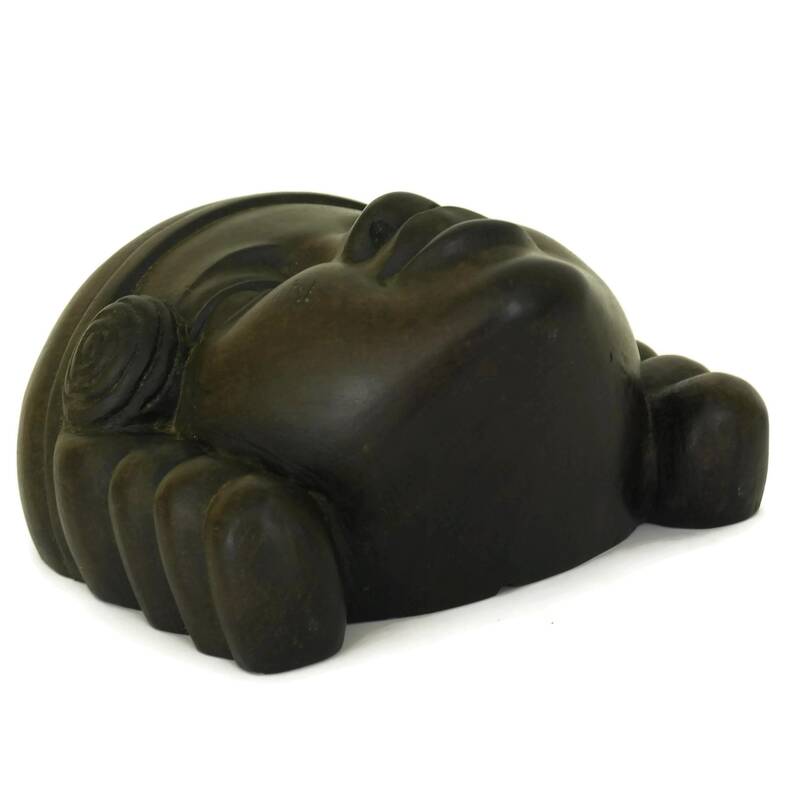 There are small chips to the wood on the reverse side of the sculpture.